Got Nuts? Donate Them to Virginia. Here's How. Wondering what to do with all those nuts and acorns in your yard? Donate them to Virginia, and you'll become a simple, but integral, part of the circle of life. 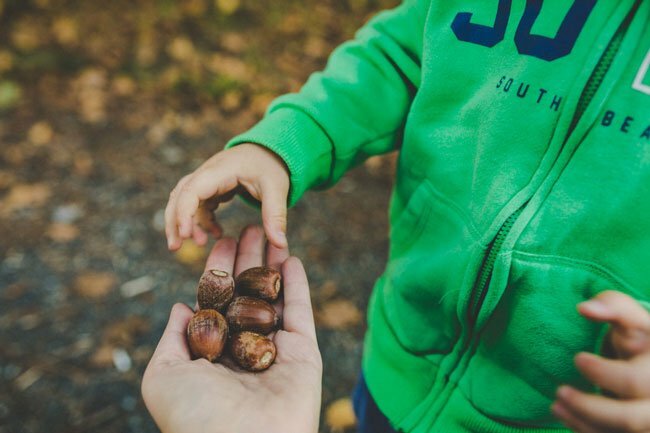 As Virginia falls into fall, the Virginia Department of Forestry (VDOF) is collecting 12 species of acorns and nuts from around the state, with the goal of planting them at the Augusta Forestry Center to grow into seedlings for the "forest of tomorrow." Specifically, VDOF is hoping to gather the following species: black oak, black walnut, Chinese chestnut, chestnut oak, Northern Red oak, pin oak, saw-toothed oak, Southern red oak, swamp chestnut oak, swamp white oak, white oak, and willow oak. To identify the species of tree you're collecting fallen nuts from, click here for this handy tree identification guide from the Arbor Day Foundation, or here for seed descriptions. “Donating acorns and nuts to the VDOF nursery is fast and easy, but the tremendous appreciation we have for those who do is long-lasting,” Nursery Forester Joshua McLaughlin said in a release. The best months for seed collection are September and October. Make sure the tree is correctly identified. Look for healthy trees; avoid trees that have bulges or insect infestation, or appear diseased or strangely deformed. Use leaf rakes or blowers to make collection easier. Simply rake or blow the acorns into a pile and then pick them up and place in a bucket prior to dumping into collection bags. Try to keep as much trash (sticks, leaves, gravel, etc.) out as possible. It doesn’t matter if acorns still have the caps on them or not. Make sure each bag of seed is labeled with the species, source location, and date. If you are uncertain of the species, include one leaf and stem in the bag to help the nursery staff identify the seed. Once the seed is collected, place in a cool area. Seed will spoil if it is overheated. Do not allow the seed to dry out for an extended period (more than 10 days or so). Bring the seed to your local forestry office or the Augusta Forestry Center within seven to 10 days. Contact Joshua McLaughlin with any questions at (540) 363-7000. Have you participated in the collection of nuts and acorns before? Share with all your friends to let them know there's an easy way to combine fall yardwork with helping the environment!